Location : This family home is situated in the village of Beacon. Beacon has a good range of day-to-day facilities. There is a more extensive range of retail outlets, leisure facilities and excellent educational facilities in Camborne town which is just over one mile away. Camborne also has a mainline railway station, bus station and access to the A30 which connects with the major transport routes throughout the County. This spacious home offers a large Kitchen/Breakfast Room with ample drawer, base and cupboard units, integrated oven, hob and extractor fan and space for appliances. The Kitchen is of a size that allows for a table and chairs for dining. The lounge is particularly light and airy with double patio doors to the rear and an archway to a separate Dining Room. Off from the hallway there is also a large double bedroom, single bedroom and Family Bathroom with a corner bath. An interesting feature to this home is the tandem garage conversion. 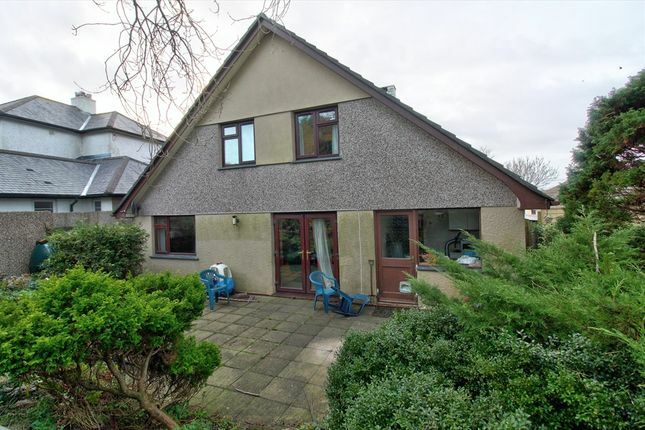 The front of the garage is a handy storage room and the remainder is a very well-sized Bedroom, En-suite Shower Room and a utility room which would be an easy Kitchen conversion making this a completely self contained annex. The Annex has its own entrance to the rear of the home and also through the main Kitchen. To the First Floor are a further 4 double bedrooms, Shower Room and Family Bathroom comprising a bath with stand over shower, hand wash basin and low eve w.c.
To the outside there are really generous gardens with a Summerhouse and a Greenhouse and parking for several vehicles. This property further benefits from double glazing throughout.